I’m Senior Director for Enterprise Information Architecture and based in Contern, Luxembourg. My team evaluates information management technologies and introduces the ones that improve our services by working with pilot teams and projects across the company. I joined through the 2013 acquisition of MACH, where I had worked for 10 years and led various business intelligence and architecture teams. We’re currently building big data, business intelligence and master data solutions to deliver smarter analytics to our customers. It’s an exciting time because recent technology innovation finally allows companies to focus on business value through granular, scalable data analytics. Communication is one of the most important things in life because it is critical to building relationships. This is one thing that studies have found to be a key factor for people in having a happy life. Those of us in the mobile industry have the opportunity to play a vital role in this by continuously improving and expanding the ways that people can communicate. I have two. One was when we launched one of the first business intelligence extranet solutions globally. A lot of people said that it would be impossible to provide business intelligence services to external users, but our team found a way. We’ve been greatly empowering our customers by delivering better analytics and more flexibility to them ever since. Another moment was when I contributed to helping our new master data team get off the ground and running for our Agile rollout. The team delivered business value under an incredibly tight time frame by building a new data backbone that feeds our partner management solution. For me the experience of being a part of this team was a lesson that a great team spirit and a team of skilled, motivated individuals can make all the difference! Meeting smart and cool people every day. They prove day in and day out that the whole is more than the sum of its parts. It’s great to see so many different cultures working together with the common goal to improve how we communicate. I use a Samsung S4. 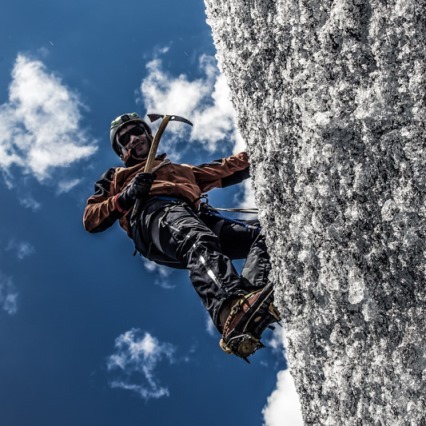 My phone has many functions in my lifestyle, but among the many things I use if for, one of the most important is as a potential safety and life-saving device for my outdoor adventures. For example, on a mountain climb I made in 2012 to a 14,000 ft. peak in the Alps, bad weather suddenly moved in, and we had to quickly climb down a glacier and icefall. Thanks to the GPS track that I recorded on my mobile during the ascent, we were able to take the same way back down and avoid some steep drops and crevasses. I love the home entertainment remote control apps because they allow me to, finally, use the remote control for the music players of my kids – for both volume and song selection. 😉 I also like innovative outdoor apps like SnowSafe (avalanche risk management), tour-planning apps and mapping apps. Almost a week while climbing in the Alps. Unfortunately, the climb was under gray skies, which turned my solar charger into useless weight and kept me from being able to use my phone. I like traveling with my family, enjoying many kinds of outdoor adventures on and off trails, like mountain climbing and ultra-running. I also appreciate the wonders of science and nature, and the night sky in particular, and I enjoy documenting all this in photos whenever I can. Me on a recent climbing trip at Morteratsch Glacier in Switzerland. 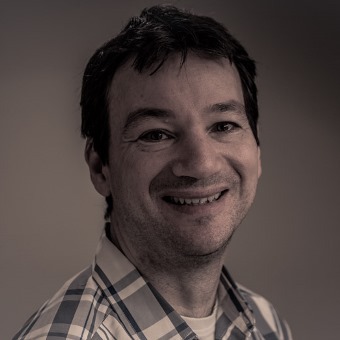 Boris Ruth is Senior Director for Enterprise Information Architecture and works at Syniverse's Luxembourg office.